A New Haven for Investors? Today, the U.S. financial system is the core of the global financial system. 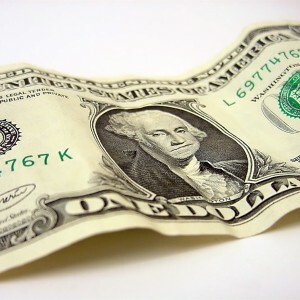 Because nearly everybody uses the U.S. dollar to buy oil and to trade with one another, this creates a tremendous demand for U.S. dollars around the planet. So other nations are generally very happy to take our dollars in exchange for oil, cheap plastic gadgets and other things that U.S. consumers "need". So if the U.S. financial system is the core of the global financial system, then U.S. debt is "the core of the core" as some people put it. U.S. Treasury bonds fuel the print, borrow, spend cycle that the global economy depends upon. "It's a way of promoting European and Chinese trade, but not doing it with the U.S. dollar," said Brooks. "It's a bit like cutting out the middleman, all of a sudden there's potentially no U.S. dollar risk." There have been media reports this week that China's State Administration of Foreign Exchange, the body that handles the country's $3.66 trillion of foreign exchange reserve, is looking to diversify into real estate investments in Europe. #7 Xinhua, the official news agency of China, called for a "de-Americanized world" this week, and also made the following statement about the political turmoil in Washington: "The cyclical stagnation in Washington for a viable bipartisan solution over a federal budget and an approval for raising debt ceiling has again left many nations' tremendous dollar assets in jeopardy and the international community highly agonized." #8 Xinhua also said the following about the U.S. debt deal on Thursday: "[P]oliticians in Washington have done nothing substantial but postponing once again the final bankruptcy of global confidence in the U.S. financial system". The commentary in the government-run publication also declared that the debt deal "was no more than prolonging the fuse of the U.S. debt bomb one inch longer." When that changes, the word "catastrophic" is not going to be nearly strong enough to describe what is going to happen. According to a Rasmussen Reports survey that was released this week, only 13 percent of all Americans believe that the country is on the right track. But the truth is that these are the good times. The American people haven't seen anything yet. Someday people will look back and desperately wish that they could go back to the "good old days" of 2012 and 2013. This is about as good as things are going to get, and it is only downhill from here. Collapsing Asian Currencies? Why is the Indian Rupee Depreciating? Figure 1 below shows the FOREX reserves of BRIC (Brazil, Russia, India and China) in USD over ten years. According to Dr. Richard Haas, Chairman of the Council of Foreign Relations, China’s ownership of trillions in FOREX is a great threat to the United States, as China, with vast FOREX reserves, is in a position to influence US foreign policies through its control over the value of US currency .This is similar to the way the United States was able to dominate the foreign policies of Britain and France after World War II and forced their troop withdrawal during the Suez crisis purely because of its ownership of British and French debt . During the Reagan years, the trade deficit started to increase at a rate not seen in the last 60-70 years . The Reagan administration then had to pressure Japan to sign the 1985 Plaza Accord to devalue the U.S. dollar at the expense of the Japanese yen in order to increase U.S. exports . As a result of yen’s appreciation, Japan experienced an economic crash and lost a decade of growth. The Nikkei average went up to about 39,000 in December 1989, but after the crash it hovered around 15,000 during the lost decade of the 1990s. In the last several years it has dropped even more, hovering around 10,000 . So now China is flooding the U.S. defense supply chain with counterfeit ICs . It has become very costly to prevent this, which is also eating away profits of U.S. defense contractors. The free trade policies of the United States are creating a perfect storm for its semiconductor industry. According to Professor Ravi Batra, “Free trade has done to the United States what Hitler and Imperial Japan could not do during the war.” He characterizes free trade as the ‘Agrification syndrome’ by which Americans continue to lose manufacturing jobs, and continue to work harder at the jobs they do have, but suffer declining wages, despite increases to their productivity . 15. Ravi Batra: The New Golden Age : The Coming Revolution against Political Corruption and Economic Chaos, New York, Palgrave Macmillan, 2007. Also see ravibatra.com for Batra’s other writings. Over the last decade Russia’s Central Bank acquired 570 metric tonnes of gold. The amount is almost triple the weight of the American Statue of Liberty and makes Russia the world’s biggest buyer of gold. The amount is a quarter more than runner-up China, Bloomberg reported on Monday. 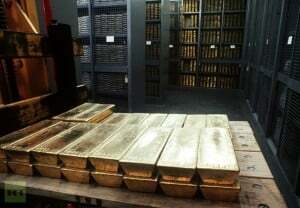 Countries like Russia and China use such stockpiles as an economic buffer against another wave of economic crisis or US dollar devaluation, as both remain weary of the US Federal Reserve’s stability and prefer to edge their bets on gold. It’s also proven a sound investment and opportunity for the Russian state to make money, with gold prices crawling upwards over the past 12 years, gaining 12% in 2012 alone. On Monday gold traded at $1650 per ounce and analysts expect the price to keep growing in 2013 to reach $1825 by the end of the year. However French investment bank Natixis dampened the outlook by forecasting a drop in price to $1500 by 2014, Finmarket.ru reports. But the link between high gold prices and falling crude has plagued Russia in the past. In 1998, when Russia defaulted on $40 billion of domestic debt, it took 28 barrels of crude to buy an ounce of gold, according to Bloomberg research. Two years later, when Vladimir Putin came to power, an ounce was worth 11.5 barrels. By 2005 the ratio had dropped to 6.5 and that is when President Putin ordered his Central Bank to buy. In just a month the proportion of gold in Russia’s total reserve rose from 2.2% to 3.5%. In 2000 Vladimir Putin inherited a country with 384 metric tons of gold and more than doubled its gold reserve in 12 years – according to official data from World Gold Council, in October 2012 gold made up 9.6% of Russia’s national forex reserve and stood at 936.7 metric tons. However it is still far from its historic high – in 1941 Russia held a record 2800 tons of the precious metal and thanks to these reserves successfully recovered after World War II. Russia’s gold rush still doesn’t mean it tops the list of global gold owners. 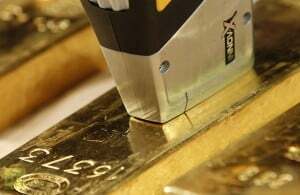 The United States holds the leading position with 8133.5 tons of gold which make 75.4% of country’s total reserve. Germany runs second with 3391.3 tons and the IMF third with 2814 tons. China and Russia are sitting in sixth and eighth place respectively. China however is suspected of downplaying its actual volume of gold by 3-4 times, Zerohedge news website reports, and prepares to introduce Yuan as world’s reserve currency. Back in 2009 China set a goal to overtake the US in the rankings. When the Chinese Central bank is ready to officially declare its actual gold reserve volume, world markets will experience serious problems, Zerohedge.com believes. Major global investor and consulting adviser to the Obama administration, George Soros also appears to have a golden investment streak. In August 2012 it was reported, Mr. Soros offloaded over a million shares in financial companies and banks and purchased $130 million in gold. His move to sell stocks and beef up on gold, is being interpreted by some as a sign of changing investment strategy in the world market. Every Russian citizen owes the equivalent of $4,200 after the country’s external debt skyrocketed to $215 billion during the last year, according to official data. ­It appears that Russia is good at amassing not only its gold reserves, but also debts. The country’s external debt reached a new height of $215 billion in 2012, or 10.5% of country’s GDP, Russia’s Audits Chamber’s report says. Debt servicing in 2012 amounted to over $1 billion. The Audits Chamber is concerned about the country’s corporate debt, with also grew significantly. By the end of 2012 the joint external debt reached $624 billion. This is 16.1% more than the country’s gold and foreign currency reserves. In 2013 eleven companies with state participation will be subjected to a check on the effectiveness of their debt policies, according to an auditor at the Audits Chamber Nikolay Beskhmelnitsyn, Novaya Gazeta daily reports. However, some experts believe the new corporate debt figures are not something to be afraid of. “We could start to worry if the cumulative credit volume gets more than 80-100% of Russia’s GDP. But the current volume is 30%, it’s not much by international standards,” head of investment division at Solid company, Mikhail Korolyuk, told Novaya Gazeta. “To compare, government foreign debt of Germany is around 65% of its GDP. China, which has over $3.5 trillion in gold and foreign currency reserves, has the debt of 22% of its GDP. In France this figure is more than 100%, and this is without corporate debts,” Avakyan told Novaya Gazeta. The world’s leaders by external debt (the total public and private debt) are the European Union and the United States with over $16 trillion debt each. As of September 20, 2012, US Treasury said the debt reached $15.85 trillion. Russia currently occupies 20th place by the amount of debt. The biggest question for me was, if China is one of the largest holders of Forex reserves on the planet, and had the largest savings of any nation, WHY did they feel the need or desire in 2005 to begin issuing Yuan denominated debt? Why begin borrowing capital from foreign creditors? They certainly didn’t need the money. Why were they moving away from export dependency and building a consumer base? And why attempt to proliferate their currency? Wouldn’t the pursuit of global Yuan circulation lead to an eventual increase in valuation? Didn’t the Chinese want their currency cheap so that they could maintain export superiority? What did the Chinese know in 2005 that we didn’t? China is flooding the system with Yuan! This means only one thing; China is no longer seeking to maintain the traditional trade relationship it has had with the U.S.
“According to O’Neill (Goldman Sachs Jim O’Neill), the trade figures underscore the need to draw China further into the global financial and trading architecture that the U.S. helped create. In my early analysis, I felt it possible that Japan would be inducted willingly into the new ASEAN trading bloc and that they would swiftly fall in line with a dump of the dollar, mainly because their export markets were suffering greatly due to the decline in American purchases. Now it appears that Japan has not been as pliable as the globalists wanted, and so, a war may be on the table in the Pacific. + The global expansion thesis is further boosted by Singaporean manufacturing ending its spell of contraction, German Factory Orders showing signs of bottoming (mirroring improvement in recent Ifo surveys), and Japanese Machinery Orders increasing for the 3rd consecutive month. + The bears have severely erred on their assumption that China wouldn’t be able to execute a soft landing. In addition to improving manufacturing surveys, HSBC’s Services PMI survey is now solidly in expansion territory, notching a reading of 54 from 51.7 in December. China is in position to lead the global recovery again. + The U.S. consumer remains quite resilient. Chain Store sales surge the most since September 2011 and are much better than expected, while Gallup’s Consumer Spending report shows a 4-week average YoY gain of almost 30%. + Fed officials are optimistic that a positive wealth effect has taken hold and Q4 GDP numbers reflect only a transitory blip (due to weather-related events) towards continued recovery (Q4 GDP will be positive when the second revision is published). Rising home values as well as gains in U.S. stock markets have improved consumer psychology. Furthermore, investors can take solace that the FOMC won’t be backtracking on its promise to continue providing monetary stimulus even in the face of improving economic conditions. + The U.K. has seen a string of improving economic numbers this week: the Services Purchasing Manager’s Index swings into expansion in January; Same Store Sales improve 1.9% as well; and Industrial Production for December prints better than expected. In addition, investors are nodding at recent economic improvement in Europe. On the political front, Spain’s “Gürtel Scandal” is dampening confidence in the government’s ability to continue its EU-mandated austerity policies. As a result, Spanish 10-yr yields are back on the rise, advancing 2.3% for the week. Meanwhile, in addition to a festering bank scandal, February 24-25 will market an important day for Italy and global markets as Silvio Berlusconi’s shocking surge in the polls have already begun to unnerve investors. Since Jan. 28, Italy’s FTSE MIB has declined more than 7%. - Inter-market trends are deteriorating. A look at the XLF/XLU ratio indicates that deflation fears may resurface soon and would be a negative for equity markets and bullish for Treasury bonds. In fact, 10-yr Treasury yields are showing a negative divergence vs. equity markets and is a red flag. Furthermore, equity markets are at long-term resistance, all the while investor sentiment is very bullish. The stage is set for a correction over the coming weeks. - U.S. Weekly sales metrics (Goldman ICSC and Redbook) show continued weakening consumption trends. Tepid growth readings over the course of January, in addition to a third consecutive weak reading from Discover’s U.S. Spending Monitor, are a shot across the bow for a subpar January Retail Sales report, due on Feb. 13. Perhaps this is because job creation has stalled according to Gallup’s Job Creation indicator, which just slumped to an 11-month low. Or perhaps it’s because the nation’s average gas price has risen 17 cents from a week ago. - Does Canada have a popping housing bubble? Canadian building permits in December plunged 11.2%, after a 17.9% drubbing the month before. Meanwhile housing starts crater 18.5%. Both the US dollar and the Euro currency systems are in crisis. During a period of waning currencies, where the value of money (in paper and/or electronic form) is tumbling, the strategic control over gold reserves and gold production is of paramount importance. The issue is not only who controls the stock of central bank gold reserves, but who, namely which countries, control the production of mine gold. While the US has the largest official gold reserves, China has become the World’s largest producer of mine gold. The main players with regard to mine gold are China, Australia, Russia, South Africa, the US and Canada. Anglo-American corporate interests exert a dominant control over mine gold. The World’s largest gold mining companies are Barrick Gold (Canada), GoldCorp Inc. (Canada), Newmont Mining, (USA). Below are the official country level central bank holdings of gold (scroll down) as well as estimates of mine production of gold by major gold producing countries. The figures on gold holdings pertain to central bank holdings. They do not include private holdings of gold by individuals and financial institutions. The official central bank figures cannot be verified, nor can the total amount of gold derivatives transacted in financial markets. There is no reliable data on private gold holdings, which have developed over several centuries. With regard to official US gold holdings at Fort Knox, there has been no independent audit of official holdings. According to Rep. Ron Paul: “Our Federal Reserve admits to nothing, and they should prove all the gold is there. There is a reason to be suspicious, and even if you are not suspicious, why wouldn’t you have an audit?” (Ron Paul calls for audit of US Gold Reserves, quoted in The New American, August 30, 2010). Physical gold holdings constitute a crucial geopolitical variable in the confrontation between competing economic powers. They are also central to an understanding of the debt crisis. Both Russia and China have significantly increased their gold holdings in recent years. Large amounts of US dollar denominated debt instruments have been converted into gold. The official figures for China are based on released data by the People’s Bank of China. There is reason to believe that only part of the official purchases are made public, to the extent that the People’s Bank of China reserves may be much higher those recorded in official statistics. Conversely, there is reason to believe that US holdings at Fort Knox may be significantly lower than what is conveyed in official figures. “China is on a gold buying spree these days. The Chinese central bank-the People’s Bank of China-is taking a series of steps to increase its gold reserves to ensure that the precious yellow metal replaces forex reserves held in the US dollar. In the last few months, there have been talks of China following India in buying gold reserves from the International Monetary Fund (IMF). So when IMF announced that it would be selling its remaining 191 tonnes of gold in the open market, several bullion analysts predicted that China would somehow jump into the fray and buy IMF gold. Both China and India are competing in the global bullion markets to be the largest consumers and importers of gold.” (See ibtimes.com). Both China and Russia are major producers of gold. Of geopolitical significance, China is the World’s largest producer of physical gold. representing 11.8 percent of global gold production. Statistics acquired from: “World Official Gold Holdings.” World Gold Council. World Gold Council, Jan 2011. Web. 1 Feb 2011. Until now the course of the crisis has been accurately described according to the five phases identified by our team from May 2006 (GEAB n°5) and completed in February 2009 (GEAB n°32): release, acceleration, impact, decanting and global geopolitical dislocation, the last two stages developing simultaneously. In the last issues and in particular the GEAB n°70 (December 2012), we commented extensively on the ongoing processes of the two last phases, a decantation from which the world-after painfully emerges on the rubble of world geopolitical dislocation. But we had underestimated the decanting period’s duration which we have gone through for more than four years, a period during which all the crisis’ players have worked to a common goal, to gain time: the United States, whilst making every effort to prevent the appearance of alternative solutions to the dollar, in spite of the catastrophic situation of all its systemic fundamentals, to prevent its creditors from abandoning it (discrediting other currencies including the Yen from now on, tenacity against the attempts to disconnect oil from the dollar, etc…); the rest of the world, in setting up skilful strategies consisting of maintaining its assistance towards the United States to avoid a sudden collapse from which it would be the first to suffer, and at the same time constructing alternative and of decoupling solutions.At the end of this long period of the system’s apparent “anaesthesia”, we consider it necessary to add a sixth phase to our description of the crisis: the last impact phase which will occur in 2013. The United States certainly believed that the rest of the world would have an interest in keeping its economy on artificial respiratory assistance ad infinitum but it is likely that they don’t believe it any more today. As regards the rest of the world, the final chapters of the US crisis (major political crisis, decisional paralysis, near miss of the fiscal cliff, perspective of a payment default in March, and always the incapacity to implement the least structural solution) convinced it of the imminence of a collapse, and all the players are on the look-out for the least sign of a swing to extricate themselves, conscious that by doing so they will precipitate the final collapse. Our team considers that in the context of the extreme tensions – both domestic political and world financial tensions – induced by the next raising of the US debt ceiling in March 2013, the signs will not be lacking to cause the disappearance of US treasury bonds’ last purchasers, a disappearance which the Fed will no longer be able to compensate for, resulting in an increase in interest rates which will propel American indebtedness to astronomical levels, leaving no hope of ever being repaid to creditors who will prefer to throw in the towel and let the dollar collapse… a collapse of the dollar which will de facto correspond to the first genuine solution, painful certainly but real, for US indebtedness. It’s for this reason also that our team anticipates that 2013, the first year of the World-Afterwards, will see a setting up of this “purifying” of US and world accounts. All the players are tending towards this step whose consequences are very difficult to predict but which is also an unavoidable solution to the crisis taking into account the United States structural incapacity to set up genuine debt-reduction strategies.But in order to take the measure of the causes and consequences of this last impact phase, let’s reconsider the reasons for which the system lasted for so long. Our team will then analyze the reasons for which the shock will take place in 2013 afterwards. Since 2009 and the temporary measures to save the global economy, the world has been waiting for the famous “double dip”, the relapse, as the situation continues to worsen day by day for the United States: breathtakingly high national debt, mass unemployment and poverty, political paralysis, loss of influence, etc. However, this relapse still hasn’t arrived. Admittedly, the “exceptional measures” of assistance to the economy (lowest interest rates, public expenditure, debt repurchase, etc.) are still in force. But against all expectations and contrary to any objective and rational judgment, the markets still seem to have confidence in the United States. Actually, the system isn’t based on confidence any more but on calculating the best moment to extricate themselves and the means of hanging on until then.The time has passed when China challenged the United States to implement a second round of quantitative easing (1): the world seems to have adapted itself to the fact that this country is still growing its debt and is inescapably turning towards a payment default, provided that it’s still standing and doesn’t make too many waves again. Why don’t the other countries press the United States to reduce its deficit, but on the contrary are delighted (2) when agreement on the fiscal cliff keeps the status-quo? However nobody is fooled, the situation cannot last indefinitely, and the world economy’s main problem is really the United States and its dollar (3). According to the LEAP/E2020 team, the various players are seeking to gain time. 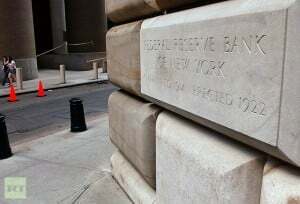 For the markets, it is a question of gaining maximum benefit from the Fed and the US government’s largesse in order to make easy money; for the foreign countries, it’s a question of extracting their economies to the maximum from that of the United States in order to be able to shelter themselves at the time of the coming shock. Thus, for example, it’s how Euroland makes the most of it in order to strengthen itself and China takes advantage of it to sink its dollars in foreign infrastructures (5) which will always be better value than dollars when that currency is on the floor. But this period of complicit leniency is coming to an end because of intense pressures. It is interesting to note that the pressures don’t really come from abroad, confirming our analysis above; those are rather of two sorts, internal and financial-economic.On the one hand, it’s the internal political battle which threatens the house of cards. If Obama appears to be traversing a period of political grace facing a seemingly subjugated republican camp, the battle will begin again even more violently than ever starting from March. Indeed, if the republican representatives will be undoubtedly obliged to vote the increase in the debt ceiling, they will make Obama pay dearly for this “capitulation”, pushed here by their electoral base half of which in fact wants a US default considered by them as the only solution to free them from the country’s pathological debt (6). The republicans thus hope to do battle on the many issues and challenges which are shaping up: on the social side, firearms regulation (7), taking a new look at immigration and the legalization of 11 million illegal immigrants (8), health care reform, and more generally questioning the Federal state’s role; on the economic side, lowering expenditure, debt settlement (9), fiscal cliff « redux » (10), etc… All these issues are on the next few months’ agenda and the least hitch can prove to be fatal. Given the republicans’ pugnacity and their supporters’ even more so, it’s rather the hope that there is no hitch which is utopian.On the other hand, it’s the international markets, Wall Street at the forefront, which threaten not to extend their confidence in the US economy. Since Hurricane Sandy and especially since the episode of the fiscal cliff which hasn’t fixed any problems, the pessimistic analyses and doubts are becoming increasingly strong (11). It’s necessary to keep in mind that the stock markets are stateless and, even domiciled in New York, have only one goal, profits. In 2013, the world is sufficiently extensive so that investors and their capital, just like a flight of sparrows, slip away to other skies on the slightest warning (12).Whereas agreement on the debt ceiling in 2011 settled the question for 18 months (13), that on the fiscal cliff defers the problem for only two months. Whilst one felt the effects of QE1 for a year, QE3 had an effect for only a few weeks (14). Besides, with a diary loaded with negotiations to come, one sees the tempo accelerate significantly, a sign that the abyss is approaching and players’ nervousness along with it. The challenges are also of a geopolitical nature: to quote only three examples, African conflicts among which of course France’s intervention in Mali, conflicts and indirect confrontation of the Middle Eastern powers around Syria, Israel and Iran, as well as the territorial tensions around China which we will examine during our following analysis on Japan.All these factors, economic, geopolitical, American, global, are coming together at the same moment in time: the second quarter of 2013. And there are many opportunities to create sparks, as we have seen.So what are the consequences of and the calendar for this second impact phase? On the markets initially, a significant fall will spread out until the end of 2013. All economies being inter-connected, the impact will spread throughout the whole planet and will drag the global economy into recession. Nevertheless, thanks to other countries’ decoupling which we mentioned previously, all countries won’t be affected in the same way. Because, more so than in 2008, opportunities exist for capital in Asia, Europe and Latin America, in particular. In addition to the United States, the countries the most affected will be those in the US sphere, namely the United Kingdom and Japan primarily. And, while these countries will still struggle in 2014 with the social and political consequences of the impact, the other regions, BRICS and Euroland at the forefront, will finally see the end of the tunnel at that time.In order to understand the formation of this second impact phase, we next review the “suicidal tendencies” of four powers of the world before: the United States, the United Kingdom, Japan and Israel. Then we will present the traditional January “Ups & Downs”, rising and falling trends for 2013, also serving as recommendations for this New Year. Finally, as in each month, our readers will also find the GlobalEurometre. (1) One can refresh one’s memory here (Wall Street Journal, 18/10/2010) or here (US News, 29/10/2010). (3) As identified by LEAP/E2020 since 2006 from the GEAB n°2. (4) The banks’ public reflation is included in the United Kingdom’s debt. (5) The Chinese being very active in this arena; one has numerous examples such as the port of Piraeus in Greece, Heathrow airport in the UK, in Africa, but also the takeover of industrial jewels (Volvo for example) etc. See, for example Emerging Money (China to invest in Western infrastructure, 28/11/2011). (6) Read, for example, ZeroHedge, 14/01/2013. (7) Source: Fox News, 30/12/2012. (8) Source: New York Times, 12/01/2013. (9) Source: New York Times, 15/01/2013. (10) The budgetary cuts debate has simply been pushed back two months. Source: New Statesman, 02/01/2013. (11) Like here (CNBC, 11/01/2013), here (MarketWatch, 14/01/2013) or here (CNBC, 08/01/2013). (12) The United States will in their turn taste the irony of history: the financial market deregulation and globalisation which they promoted so much is going to turn round dramatically against them. (13) It’s as at this point in time that the automatic cuts of 01/01/2013 were enacted to force a bipartisan agreement. Source: CNN Money (02/08/2011) or Wikipedia. (14) For a reminder on these quantitative easing operations, one can refer to BankRate.com, Financial crisis timeline. (15) Source: Les Échos, 05/12/2012. (16) See previous GEAB issues.